In 2017, the catholic church celebrates the 100th Anniversary of the miracle of Fatima that occurred in Portugal. Find out why the Pope and 1 million pilgrims are going to Fatima for the occasion. Fatima is a town in Portugal (88 miles North of Lisbon) with a population of around 13,000 people. It is one of the most important catholic shrines in the world and is forever associated to the marian apparitions. The first apparition to the three shepherd children happened on May 13th, 1917. Lucia, Francisco and Jacinta described seeing a “Lady brighter than the sun” believed to be the Virgin Mary. She appeared to the children on the 13th of every month for 5 solid months. The Last apparition would be on October 13th where an estimated 70,000 pilgrims witnessed “The Miracle of the Sun” – also known in the catholic world as “the day the sun danced”. Later in 1930, the visions were declared worthy of belief by the Catholic church and the cult of Our Lady of Fatima was permitted. Our Lady of Fatima is a roman catholic title of Virgin Mary based on these events in Fatima, Portugal. Now, thousands of pilgrims from all over the world visit the Sanctuary of Fatima. The small chapel was constructed in 1918 in the site where the apparitions occurred. With the increasing popularity, a larger complex was built with a basilica that encloses the original chapel and the statue crowned by the Vatican. It also features a hotel and medical facilities. Around the big plaza are many shops selling various religious articles. The crown on the statue of Our Lady of Fatima has one of the bullets that nearly killed Pope John Paul II on May 13 1981 – exactly 64 years after the first apparitions. He was convinced that he was saved by the hand of Fatima and gave the bullet to the shrine as a sign of gratitude. He visited the shrine three times after the assassination attempt to thank the Virgin Mary. You can expect the highest volume of pilgrims in May and October, the anniversary months of the first and last apparitions respectively. 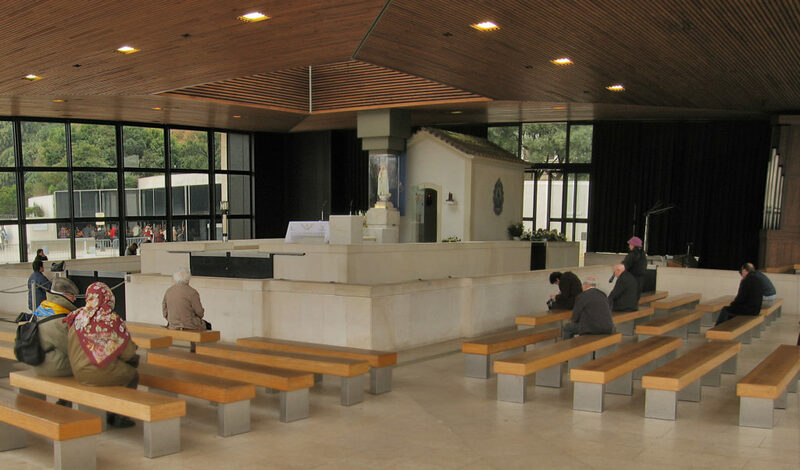 To get to Fatima, many walk or kneel a part of the way (at times taking days before arriving to the Sanctuary). Every day from Easter until the end of October, there are several religious masses and ceremonies, including an impressive candlelight procession at night. 2017 marks the 100 years of these apparitions and as such Pope Francis will host the ceremony. 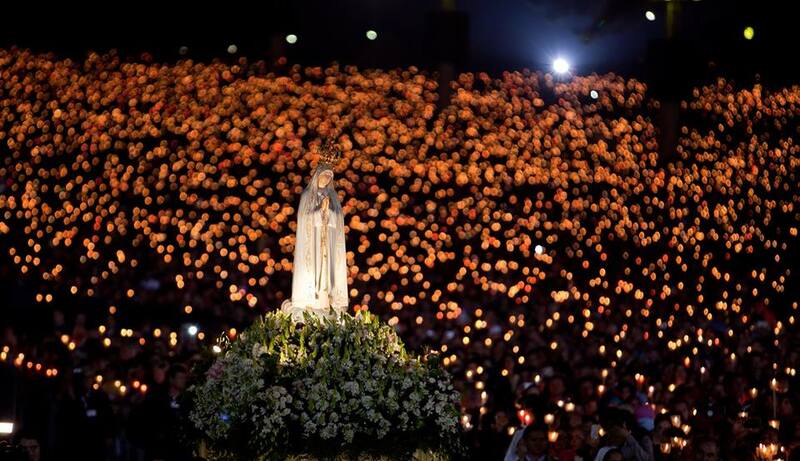 Local authorities expect 1 million people to visit Fatima on May 12th and 13th. Portuguese borders will be closed exceptionally during those days as one of the security measures during the visit of the Pope. You can also follow the live stream of the shrine in the official website. 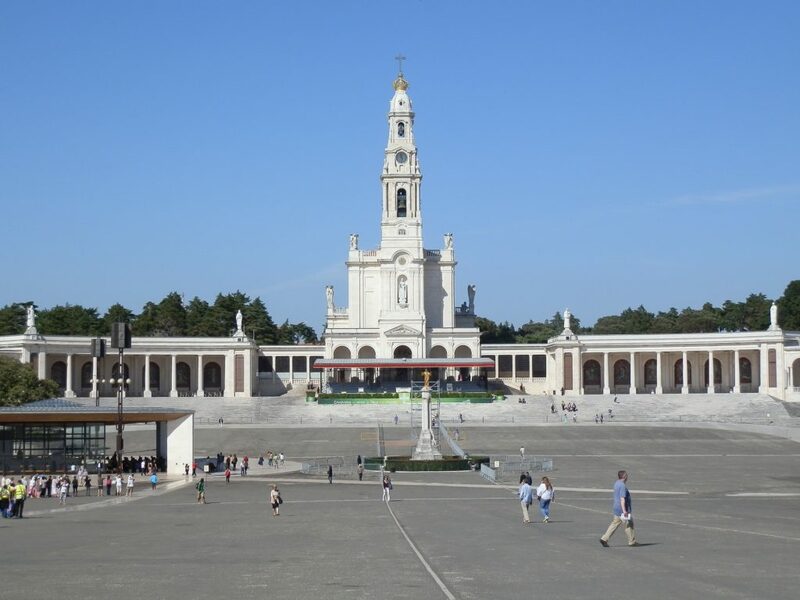 The Shrine of Our Lady of Fatima can be visited anytime of the year and it’s easily accessible from the major cities in Portugal. The journey from Lisbon to Fatima takes around 90 minutes by car. And 120 minutes from Porto. We recommend opting for a car rental or a coach service to get there. 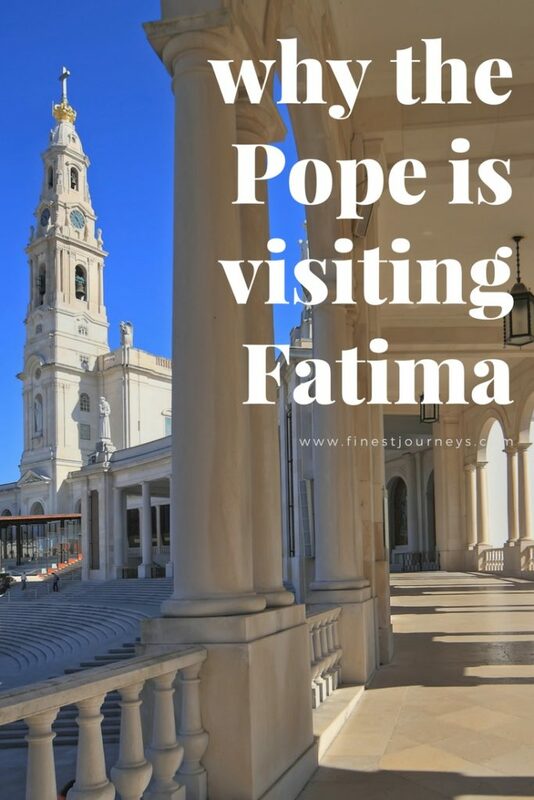 Avoid taking the train as Fatima’s train station is 20km away from the city.